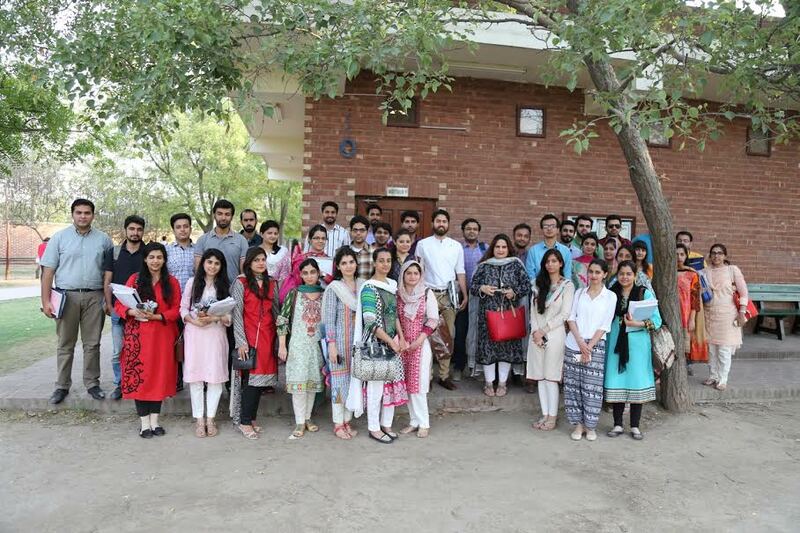 Mr. Haroon Waheed, HR Head Fatima Group, was invited to the Lahore School of Economics to deliver a lecture on the importance of HR in Pakistan to the MBA students. Mr. Haroon Waheed started off his very interactive session by asking the students about their passion and why they decided to opt for MBA. He told the students what corporations look for in a candidate and said that they hire a mix of attitude and ability and that an attractive résumé is not the only important factor. 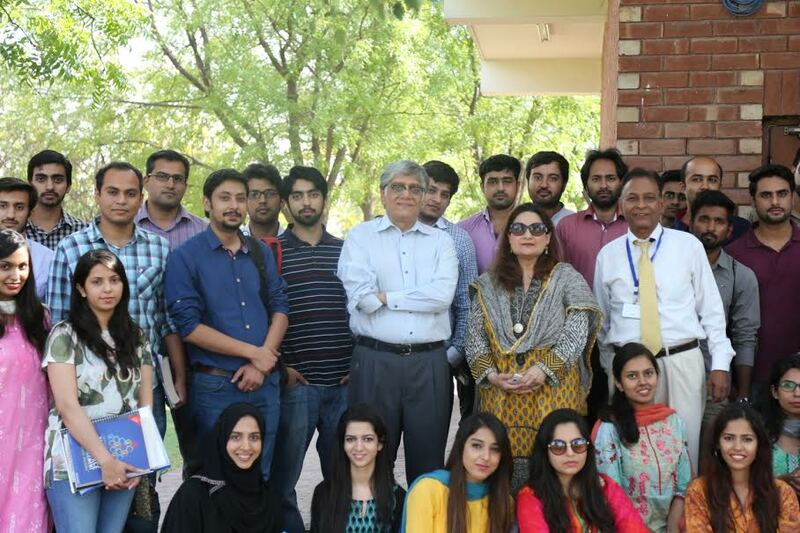 Dr. Waqar Ahmed Wadho of Lahore School of Economics was a guest speaker in a seminar on Innovation and Technological Progress organized by the Ministry of Science and Technology of Pakistan on 27 April 2016 in Islamabad. The seminar was attended by officials of the ministry including Federal Secretary Mr. Fazal Abbas Maken, and chairs and directors of various wings/divisions of the ministry. Dr. Wadho discussed the findings of their new research (jointly with Dr. Azam Chaudhry, Professor at Lahore School) on innovation in the Textiles sector of Pakistan as well as on how their study could be used for the future research and policy making by the ministry of Science and Technology of Pakistan. The findings of this research provide a detailed status of innovation activities and their intensities, the determinants and obstacles of innovation, as well as the impact of innovation on firm performance such as labour productivity and profitability. In the discussion session, participants highlighted the need of quality research for better policy making and showed their interest in collaborating with Lahore School of Economics for Ministry's proposed innovation survey. Length of MBA Programme for Full Time Working Professionals: The MBA for full time working professionals Programme is a 2½ year degree programme requiring completion of 66 credit hours. Class timings would be from 8.15 a.m.- 5.30 p.m on Sundays at the Burki Campus. Credit Hours, Courses and Thesis: All courses are three credit hours each. Class contact hours for each course would be two meetings of 2 hours each per week for 12 weeks. Entrance Requirements: This programme is intended for full time working executives. 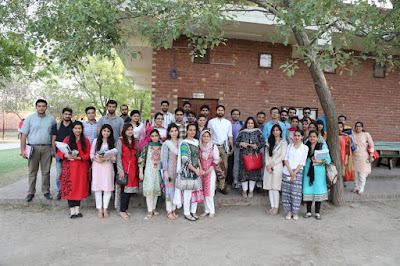 Admission to the Lahore School’s MBA Programme for Full time Working Professionals is regulated through an entrance examination and interview process. A four year BA/BSc/BCom/ BBA (Hons) degree with a CGPA of 2.5 is a necessary pre-requisite for regular admission into the MBA Programme for Full Time Working Professionals. 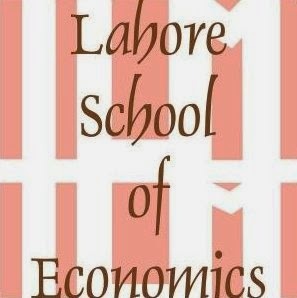 Programme and Admissions Information: The Lahore School of Economics Prospectus which includes programme and admissions information may be collected from the Lahore School’s Admissions Office at the City Campus. Prospective students are invited to visit the Admissions Office Mondays to Fridays between 9:00 am and 4:00 pm. 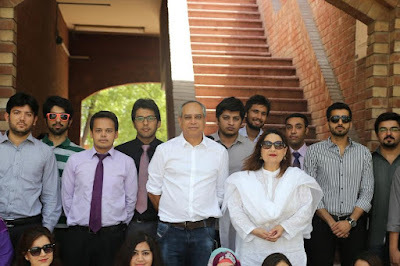 Mr. Mudassar Aqil, President and CEO FINCA Microfinance Bank, was invited to the Lahore School of Economics to deliver a lecture on 'Financial Statement Analysis' on Monday, May 23rd, 2016, to a MBA class. FINCA started around 8 years back to fill the demand gap that existed in the market and presently it serves 150 million people. Mr. Mudassar explained various models used by FINCA including group lending model, individual lending model and bullet lending model and discussed how the undocumented businesses are analyzed. Mr. Omar Zaman, Brand Manager Leisure Club, was invited to the Lahore School of Economics to deliver a lecture on 'Branding' on Friday, May 20, 2016, to the graduating MBA class. In his lecture, Mr. Omar Zaman talked about the fundamentals of brand building and the importance of embracing the opportunity of rebranding Pakistan globally. He highlighted some of the characteristics that hold true not only to Leisure Club but the entire Sefam group. He discussed how the Sefam group was founded on the ideas of quality, integrity, ingenuity, and compassion and how much he personally valued integrity, honesty and consistent quality as key factors of success for himself and his team. He further went on to explain the re-branding of Leisure Club that took place under his management, specifically highlighting its 'Made of Pakistan' mantra. Mr. Zaman began by introducing various types of exports including commodity exports, value added commodity exports, processed commodities, enhanced value added exports, branded item exports, intellectual quality added exports, high technology exports, labor and manpower export and national image export-Marketing your country internationally. He moved on to explain exports from Pakistan and their present day scenario. Mr. Azfar Hasan, CEO-Matrix Sourcing, visited the Lahore School of Economics to deliver a lecture on “International Marketing” to the graduating MBA class. 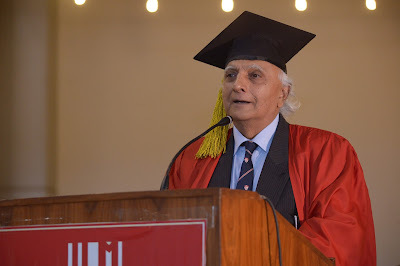 Lahore School of Economics’ Twelfth Annual Convocation was held on 7 May 2016. Dr. Shahid Amjad Chaudhry, Rector Lahore School of Economics conferred degrees and awards to graduating students (MPhil (4), M.Sc. (15), MBA (235), MBA for Professionals (98), BBA (Hons.) (411), B.Sc. (149) (Hons.) and BS (Hons.) (23). Over the last year, the economics department has expanded in terms of size and scope. Much of the exciting work that is being done on the research and teaching side is because of the dynamic young faculty in the Department of Economics. 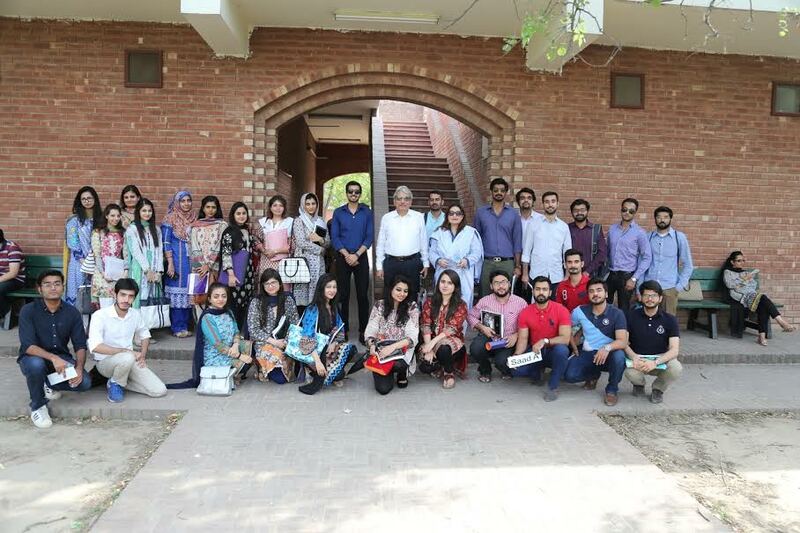 Their activities have ranged from constantly updating their course syllabi, to finding new ways of challenging their students, to engaging in cutting edge research with some of the best research institutions in the world, the faculty of economics has taken the lead. This work is now being recognized locally and internationally with a significant number of our students getting foreign scholarships for further academic work, a growing number of students being recruited by international development institutions and the private sector and a growing number of international publications.